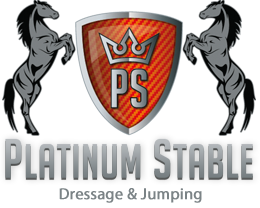 The stallion selection committee of the Oldenburger Verband came to Platinum Stable in Riel Monday to test Ferguson (by Floriscount) and Five Star (by Amazing Star). The goal of the visit was the check whether they studs are good enough to be approved by the German studbook. They both passed with flying colours. Ferguson received his KWPN license earlier this year with high grades for elasticity. The German committee totally agreed in this matter. They said that Ferguson is a added value for the breeding of dressage horses. Five Star, he got KWPN approved in 2013, definately showed his good will yesterday. The committee said they think it is a typical Dutch horse that has a very nice front and three well developed gaits that show lots of elasticity and balans. Reason enough for Dr Wolfgang Schulze-Schleppinghoff, Oldenburger Breeding Director, to approve both stallions for the Oldenburger Studbook.